My dad was among the best of the early pioneers in fishing the Northwest. 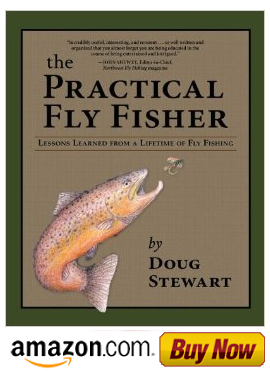 He and his buddies were hearty and persevering guys who spent years discovering the secrets of the Oregon Coastal streams; Southwest Washington streams, Sandy River, Deschutes River, and countless other Northwest rivers and streams. They seemed to always know when the fish were present, where they were located and how to catch them. They also had that innate quality of most fishermen, persistence. I can painfully recall my indoctrination as a young boy--many cold, wet and exasperating days of casting for hours without any luck. I experienced two years of frustration, but my dad constantly encouraged me to keep trying and assured me that I’d get one. However, catching that winter steelhead seemed as elusive as catching my shadow, which is probably why everyone remembers their first. I was no exception. It was a frigid January day on the Nehalem River. It had started out like so many trips before--snagging up, loosing gear and tying rigs with frozen fingers. As I dejectedly made another cast into a fast chute above a tailout, my line stopped and began to move upstream. Suddenly, a silver shape exploded from the water and the fish had me on! It turned and porpoised downstream in frantic jumps, trying to drown me as I stumbled after it. I don’t remember how long I fought it, but after my dad finally arrived with landing instructions, I eased the tiring fish onto the beach.